“Super Mario Maker's” popularity proved something most people in the ROM hacking community already knew for years: there is a game designer hidden in all of us. Yet most of us do not have the technical expertise to look up code and understand how it works. Level editors are nothing new, of course, going as far back as some games officially supporting this feature on the Famicom and Game Boy. However, Nintendo’s Super Mario Maker took things much further by creating a new template on how to offer the power of a professional 2D level designer tool wrapped into an interface that is both easy to use and intuitive for anyone, crashing down the wall of technical expertise that kept most of us on the playing side of the field. Imitation is the sincerest form of flattery, and it didn’t take long for enthusiast community efforts to mimic the template and adapt it to other games. “Mega Maker” is exactly that, a new level editing tool for the classic NES “Mega Man” titles, but a project that escalates everything far beyond the simple level editing packages; it is a fully fledged fan game as well. Check the new trailer below. "Mega Maker" is scheduled to be released on July 15th. As usual the big question remains: what will Capcom's legal department do? Is a C&D order being typed up right now? There has been a precedent of Capcom embracing fan efforts in the past, but only time will tell. Would you like to see Capcom releasing something official like this? 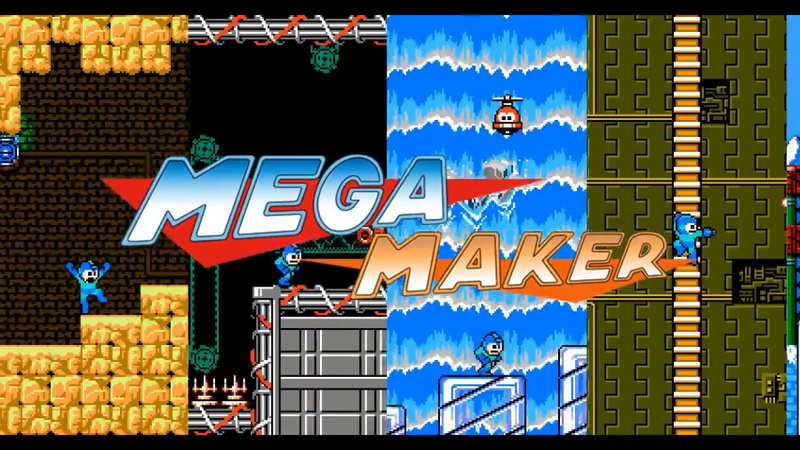 Is "Mega Man Maker" perhaps one of your childhood dream games? Drop your opinions in the comments section just like Mega Man drops Robo Masters: with eloquent strategy. Capcom at least has a history of being really chill about fan projects. I think it'll be fine. I can't believe this hasn't been thought of sooner. Looks cool. I'm sure I'll download it and play around with it. Also, anyone remember SMBX? The fan made Mario level editor? Had way more features than Mario Maker. That was a cool level editor. Never been a Mega Man fan but this looks really neat. I think I'll give it a try. Megaman games in general aren't my thing, but I had some fun with Megaman Powered Up's stage creator, if this is anything like that, then you can make some pretty cool stuff. I never hear anyone mention how you could enter a cheat code in the beginning of the Sega Genesis Sonic the Hedgehog and have very limited access to the in game set pieces. The mode would allow you change Sonic's character into many different objects like swinging platforms, enemies, springs, rings, ect. It would then let you place them anywhere you wanted. Another cool feature is that you could move the character anywhere on the screen. This made getting the chaos emeralds a joke. I'm not one for cheating, I've played the game through free on beginning to end more than any other game I've ever played. But something about being able to do that in that game was so much fun. I don't know why more developers don't implement this idea more often. Anyway, anyone that's never had the opportunity should look up the code(because I forgot) and give it a shot. You'll spend the rest the playing the game and will come back to it every day for the next couple of weeks. Ya, that's the debug code. I remember using it in Sonic 2. You could turn into a ring then duplicate 50 of them, or a lamp post, a spring... whatever you wanted. If Capcom leadership has any sense, it will either buy these guys for pennies on the dollar, or cease-and-desist them into oblivion. Great! Now give us the ultimate "maker" game: Donkey Kong Country Maker , with the SNES games assets. @remlapgamer Oh, I did that all the time. I was super fun to make the game crawl to a stand when you had too many sprites on screen. @Kalmaro "I can't believe this hasn't been thought of sooner." But those improvements to classic weapons are really great! What platforms is it releasing on? No Switch? That looks incredible. Please, Capcom, be a sweetheart and don't take this down. @masterLEON Doesn't look like it was on the same scale, I see your point though. @remlapgamer Up down left right hold A and press start! Second star to the right and straight on til morning. Just watched the trailer, it all looks fantastic. No doubt a ton of work and effort has been put into this. Since childhood, I always liked making levels. I would draw ideas up on notepads, I played Super Mario Flash all the time in my teen years and of course, I love Super Mario Maker. Here's hoping the game's release goes unhindered. 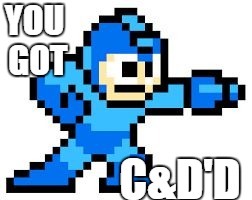 Capcom will shut it down and then release it to celebrate Mega Man's 50th anniversary. "“Super Mario Maker's” popularity proved something most people in the ROM hacking community already knew for years: there is a game designer hidden in all of us." After how many levels I've played and seen other, I'd argue it proved the opposite: most players do not have a game designer mind. Yes, there's some amazing levels that we've only gotten thanks to the tool, but a majority of level creators clearly lack even basic game designing abilities. A few plays through 100 Mario Mode and you quickly can see that. It would be really cool if you could export the levels to a .nes file to play on real hardware. Cool but it needs some Mega Man X, Mega Man 7, and Mega Man 8 themes and contents to get me excited. 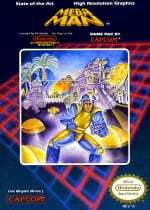 As you know I was never a fan of 8-Bit Mega Man. Yeah. I'm surprised Capcom didn't get with Nintendo during Mario Maker's heyday. This guy just made what we all wanted. Next we need a Castlevania Maker. I mean. They should have jumped on it. Hell. Mega Man Maker and Kirby Maker could have been paid DLC for Mario Maker. But... no. If anything, Nintendo quit updating and adding things to the beloved game. They only update it when somebody exploits it too much. Mega Maker is probably the only way I would truly enjoy a Mega Man game since I typically am not yoo good at the series. Having the ability to play levels based on my skill level would convince me this is worth a purchase. @EXP The original creator of SMBX got screwed over by Nintendo iirc (and then went on to make Terraria, one of my favorite games of all time), but SMBX is still alive and kicking. The fans are even making an SMBX 2.0 that runs on a new engine and gives you even more customizability. Hopefully you'll be able to imitate Proto Man's MM 9/10 mechanics, since I find them really cool, yet no one's made a rom hack that successfully emulates that mechanic yet, surprisingly enough. Maybe this thing will help. Oh wow, it adds Fox's reflector and the Tornado ability from Kirby's Adventure! Awesome. I'm getting the itch to fire up the game and have a throwback day. I caused the game to freeze countless times due to my overkill of additions.😀 . I would always fire it up again and get back to it. Tons of fun back in good ole 1991. Can I use my MEGA MAN amiibo's ? Mega Man Powered Up for the PSP has a robust level editor in it. It's a wonderful title that could benefit from a rerelease. @remlapgamer I remember using that code and it was so much fun! Cease and Desist in 3.....2.....Oh wait, this is not Nintendo. Never mind. @John_Mcclane they can C&D and work on what is already there, after all it IS their franchise. Mega Maker and Splatfest on the same day! @EXP I sure do. It had way more features, but the physics weren't quite right, and I think that makes Super Mario Maker superior. That looks so good. And did they just take some of the worst weapons ever to exist and make them useful? Hopefully it'll buy and hire. But you know Capcom, no sense. Never played Alex Kidd, I thought it was based off of Kirby. @roboshort perhaps, but I still imagine there would be way more bad levels than good. For one, as hard as it can be to admit, some people simply do not have the mindset to be game designers - just like any ability, some people are better suited for it than others. Two, it would also depend on people being receptive to be better designers. Just because they give tools to teach game design doesn't mean players would use them. They'd have to somehow force players to go through a bunch of tutorials AND be receptive, people would be upset if they required too many tutorials before us loading and most people wouldn't pay attention enough to learn. Simply put, you can't force people to become good designers and most players would sooner just crank out a bunch of bad levels than take their time making one good level, and taking away that option will just push the average player away. Not saying SMM isn't a great tool, there are a lot of creative things people put out, but the ratio will always make sure there's way more bad levels than good, and I still stand by my original point that not every gamer has a game designer hidden in them, in exactly the same way that someone who listens to a lot of music won't necessarily have good rhythm or someone who watches football doesn't necessarily have an athletic side in them. Of course that being said I'd love a SMM2 because even if the majority of levels end up being bad, the plethora of good levels make it worth it, and people can have fun creating their own levels even if the levels arent well designed (people who aren't good artists can still enjoy an art class, regardless of the quality of the output). @roboshort also though, after a second thought, even if I think it will only benefit a small percentage of creators, it would be cool if they had some included feature to hone one's design skills, in the same way that it's cool when art games teach you tips to draw. It definitely doesn't hurt and it can give people who genuinely want to get better the chance to. I still believe most players will make bad levels because it takes less time and effort, but doesn't mean it's a waste of time to offer tools for those actually attempting to learn. Besides, a lot of kids play these games and it can give them a chance to learn if they actually want to pursue game design and have the right sort of mindset. @remlapgamer is it up, up, down, down, left, right, b, a, start? Anyways, do games nowadays still have built-in cheat codes or do they all just need cheat devices like Gameshark and Game Genie? Hey, Composer/SFX guy/Tester for Mega Maker here. We really appreciate all the support! Most of the game is done already (The first build, anyways), we're just putting on the finishing touches 'till it's ready for release. See you all then! Capcom actually already made this...like a decade ago! The PSP remake of Mega-Man (the first one) had a level editor and a sharing community. Nobody remember this? You could also choose to play the bad guys. Great game...I don't recall it being released elsewhere though. What a shame. Seeing as this project is giving away all of Capcom's original art and sound assets for free, they pretty much HAVE to send out a C&D. But as you say, only time will tell. Fox's reflector from Smash has been mentioned but no one has mentioned Meta Knight's tornado from Smash yet? Good that I'm here It's funny how the moves' sounds are also the same. @ShadJV Yeah. Even though there would still be a lot of bad levels, I would guess that the average quality would go up. Also even if you do not have an aptitude for a certain task, you can still improve your skills in it.. and maybe for those who do have a latent talent, it could help their designs get even better. If Nintendo wants to do it really well, they would include much better gamification than in the previous Mario Maker. The gamification should reward players for well-designed stages... which I thought did not work very well in the original. They could make Mario Maker 2 into an actual game instead of a just a tool to create games. With Mario Maker's sales figures, I think we are going to see a sequel.. perhaps as soon as next year. Sadly, I suspect what will be the first powerup. It's a great idea and i feel since Capcom isn't doing anything with MM anyway they should just leave it alone. Unfortunately I can see this getting a C&D regardless. Ha! I forgot about Game Genie. I purchased one at a thrift store for Sega Genesis a few years ago and stored away somewhere. I only bought it for a keepsake item. @roboshort see this is where I disagree, our generation likes to tell people that anyone can do anything if they put their mind to it and it leaves a lot of people with disappointment and frustration. If you have zero aptitude for something, working hard won't necessarily make you good at it. I wanted to be an artist for much of my childhood and constantly took art classes, tried every tip and lesson I could find, practiced, worked one on one with teachers... guess what? I literally draw no better than when I was a child and usually have to resort to stick figures, I can't do faces at all (even starting with the base circles most people teach, not that I can even draw a circle)... simply put, people have their strengths and weaknesses and as pretty as it sounds that we can just get rid of all our weaknesses with enough effort, we can't, we're all human and that's okay. Not every person can grasp game design, it takes hard work yes but it also takes a certain kind of mind. You can teach someone stuff like don't spam enemies and blocks all over the screen or don't hide an important item randomly in an invisible block, but that doesn't mean you can teach them how to make a fun level. The closest you can do is walk them through making a level but in the end you basically would have them making levels that all follow specific templates, and then we result in most levels just following templates, and good game design creates new ideas instead of just repeating new ones. Capcom doesn't believe in doing anything the way we'd expect so, they will likely reach out to these guys, take the game from them, give them some change for it, change the name, and release it for us.